What do Calvin , N.D. (population 15) and Los Angeles (population 3.9 million) have in common? Elected leaders of both places realize the importance trees have in their communities, which are vastly different in terms of size, climate and location. Because of their commitment to take care of community trees, the communities of Calvin and Los Angeles have earned Tree City USA distinction from the Arbor Day Foundation in cooperation with the U.S. Forest Service and the National Association of State Foresters. Currently, there are more than 3,200 Tree City USA communities in the United States. An Arbor Day observation and proclamation. Keep in mind that the standards were designed so that no community would be excluded because of its size. So every community, regardless of how many people live there, benefits in different ways from being a Tree City USA community. Meeting the four standards for becoming a Tree City USA provides initial direction for an urban or community forestry program. These standards, the first step in the process of becoming a Tree City USA , help a community get started toward annual, systematic management of its tree resources. As community leaders begin the process of meeting the four standards, they start to make contact with their state's forester's staff. This leads to assistance from a variety of professionals in the form of technical advice, literature and films about tree-related topics. Another important benefit that the Tree City USA program adds to communities is a boost in public perception. Being a Tree City USA helps present the kind of image that most citizens want to have for the place they live or work. Many Tree City USA communities post signs at heavily traveled entrances proudly announcing this recognition. These signs tell residents and visitors alike that the community cares about the environment and its community trees. Tree City USA also signals to guests that community leaders care about the quality of life. Gaining and retaining Tree City USA recognition is an award to the foresters, arborists, managers, volunteers, tree board members and others who work to improve the care of a community's trees. Non-involved citizens often share in the sense of pride that comes with being a Tree City USA community, often leading to better care of trees on private property or a willingness to volunteer in tree-planting endeavors or other conservation measures in the future. Preference is sometimes given to Tree City USA communities over other cities or towns when allocations of grant money are made for trees or forestry programs. Inevitably, when grants are offered through state or federal agencies, there are more requests made than there are funds available. If requests are equally worthy, some officials tend to have more confidence in communities that have demonstrated the foresight of becoming a Tree City USA . There are other financial benefits as well. In one large east coast city, it has been estimated that on average, each tree provides more than $200 of practical values every year. This far exceeds the cost of maintaining the community trees, and it has the added benefit of adding beauty to an otherwise harsh environment. Reducing airborne dust particles and greenhouse gas emissions. Lowering energy consumption and the need for more power-generating facilities. Capturing storm water runoff and keeping rivers and lakes cleaner. Cooling parking lots and extending the life of pavement surfaces. Helping to prevent conditions that can lead to skin cancer. Boosting business in commercial areas. This year, 55 communities received a Tree City USA award for the first time for their dedication to the protection and expansion of their green infrastructure. One of the newcomers, Lancaster , Texas , had a good reason for becoming a Tree City USA . “We have a large number of mature trees in our city, and it is very important that we take care of this natural resource,” said Opal Mauldin-Robertson, assistant city manager said. One measure taken by Lancaster was to enact a tree preservation ordinance that requires developers to receive approval before any tree can be removed. 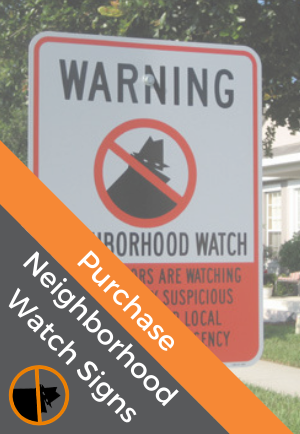 Neighborhood groups, such as Neighborhood Watch, volunteers, civic organizations, and even concerned citizens can help a community move toward Tree City USA status. Tree City USA is a combined effort, from concerned citizens, volunteers, visionary mayors, elected officials and urban foresters, that works to benefit communities with a qualified tree-care plan. In fact, the goal of Tree City USA is to encourage the continuous, systematic planting and care of trees in our nation's cities, military bases, and urbanizing counties. Regardless of a community's size, Tree City USA can be the impetus for the planting and care of trees that make our communities more pleasant places to live, work and play. Can make a strong contribution to a community's pride. Serves as a blueprint for planting and maintaining a community's trees. For more information, go to arborday.org.